The popular Prokabaddi Season four is underway and as the excitement builds up to witness who emerges on the top, the valient teams are playing matches across the country. 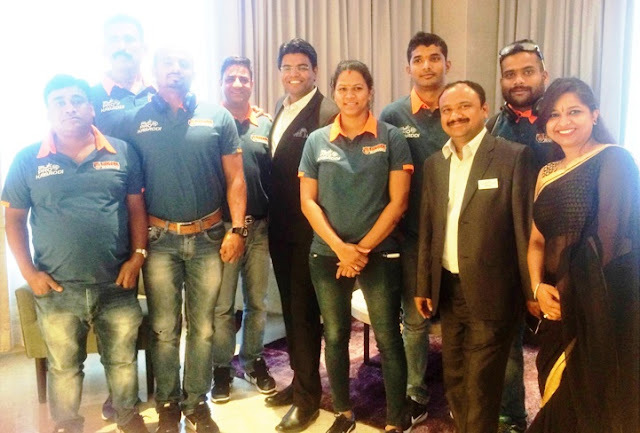 During the Hyderabad leg of the tournament, Mercure Hyderabad KCP is proud to play host to the Bengal Warriors, one of the top contenders among the Pro Kabaddi League teams for the 2016 edition of the sporting spectacle, in the iconic city. Team Mercure Hyderabad KCP hosted the spirited players and has made elaborate arrangements to make them feel comfortable during their stay, which include customized stay packages to meet their hectic schedules and training needs, extended gym and fitness facilities to help the players stay in top form and special nutrient rich yet delectable dishes on the menu to help them recover their energy.